BECOME A MEMBER – IT’S FREE! Cadillac XLR: One of the Worst Sports Cars? I’m posting this because after a long search online, I found nobody who had this issue, despite the Cadillac dealer telling me that this is a “common” problem. This is my 2005 XLR, it started to get some wind noise and I figured a seal had started to wear. Dealer looked at it and said the same and recommended a silicon product for the roof seal. 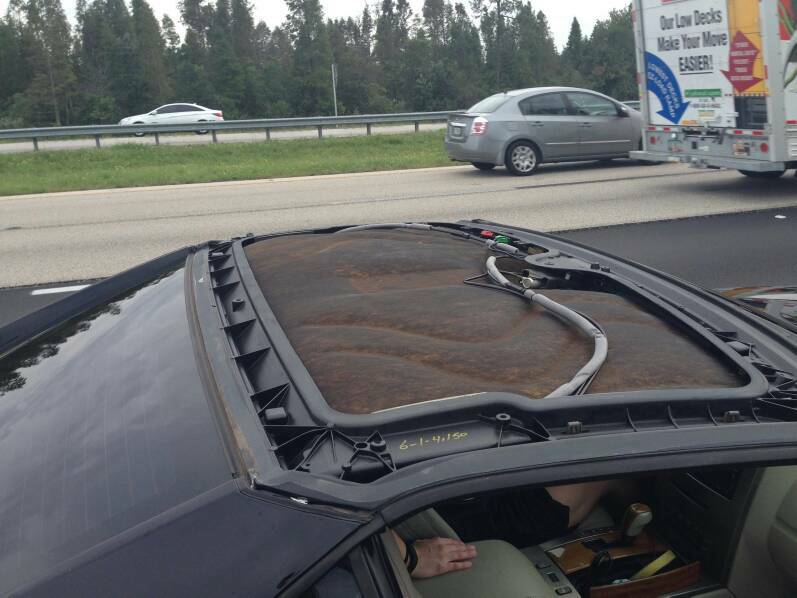 Then while driving down the highway at around 70mph, the roof panel flew off the car. Thankfully it didn’t hit anyone or cause an accident. So, make sure you get your wind noise checked. Apparently this was an issue with Corvettes around that time, but I’ve seen nothing on the XLR. previous 2005 Cadillac XLR Axle Back Exhaust or Less Expensive Options? Advertise on the XLR Net! 2005 Cadillac XLR Axle Back Exhaust or Less Expensive Options?